Wondering why you might need an accountant for your small business? Our experts explain exactly why the industry is thriving. It’s a simple question to ask, but the answer might not be as straightforward as you’d think. Accountancy as an industry has seen sustained growth in recent years. Why? Because we as financial solutions providers are necessary for the survival of many businesses across the country. There are numerous reasons as to why you might need an accountant, ranging from the mundane to the extreme. In this blog, we explore a few of the most common warning signs that indicate you may need an accountant’s help. Not all accountants are number crunching pencil pushers. Some firms specialise in more than just tax returns and VAT receipt collectors. These accountants, such as our online accountancy experts here at RS Accountancy, have a wealth of knowledge and experience in other areas of business and financial management. This experience can be applied to helping you achieve better growth. If you are struggling to see the profits you want, consulting from an accounting expert can be exactly what you need. Opting for industry or small business experts, you can gain insight into markets, learn about where money is being wasted, and get advice on better investment opportunities. Having you been asking yourself why do I need an accountant? For years our small business accountants have worked with a vast array of brands. We’re confident we can help you expand your profit margins and see real growth. Get in touch today to find out more. Why do you need an accountant? Simply put, because you aren’t one. Financial management of a business can be incredibly complex, and it carries serious consequences if done incorrectly. From missing payments to breaking the law, failure to meet proper standards of accounting and compliance with regulations can leave your business reeling. It doesn’t matter if you are a nationwide chain or a small business running out of your own home, mistakes and other innocent indescrepancies can lead to devastation. It might sound like scare-mongering, but it’s the cold hard truth of the accountancy world. Your clients. Your partners. Your investors. Your customers. HMRC. None of them are going to cut you any slack if you make accounting mistakes that impact them or their policies. Accountants help avert disaster by ensuring your business finances are managed correctly and the numbers are accurate. They reduce your chances of facing liability and eliminate potential mistakes. In short, they keep you safe from backlash as a result of inexperience and lack of financial knowledge. Growth is exciting; growth is amazing; growth is what we want to see. But growth has pitfalls, too. When your company is thriving, you’ll likely be faced with not only to buzz of success but also a mounting list of tasks and responsibilities. These will include new financial burdens and processes — processes you aren’t familiar with. Not knowing how to manage these types of tasks can be the difference between achieving your dreams and back peddling. When you experience rapid growth, your business needs to be capable of adapting and incorporating these changes. The last thing you want is your growth prospects to be thwarted by problems relating to anything from managing staff pay to balancing supplier budgets. Bringing on an accountant during periods of sustained or heavy growth ensures your financial commitments and obligations are taken care of while a professional looks after the nitty-gritty monetary details that create the foundations on which your business success rests. We did tell you that some reasons for asking the question, why do I need an accountant, would be mundane didn’t we? Sometimes it isn’t some great calamity or potential disaster that needs averting — it’s just lack of resources and a need to focus your attention on other areas. Accountancy tasks take time. Filing your tax return takes time. Getting together records takes time. Balancing the books takes time. But so does managing a business. More often than not, you’ll find yourself too pressed for that precious resource to both manage your money and build your brand effectively. 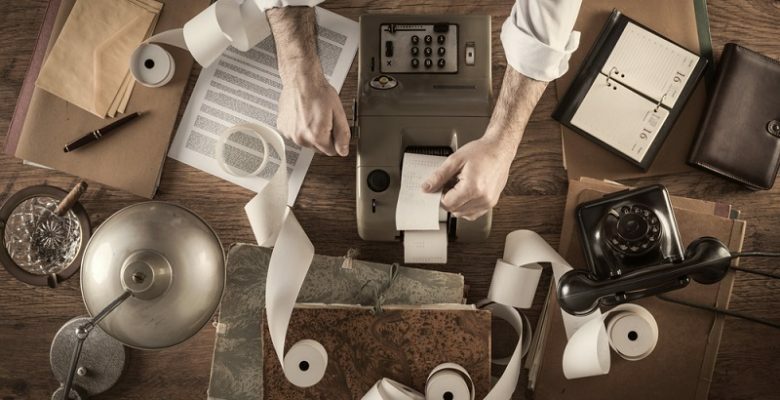 When it’s a choice between taking care of your small business or lodging receipts, we both know which you are going to pick. Your small business accounting tasks need doing, but if you don’t have time to do them, they can’t just be left behind. Accountants exist to do many things and one such task is helping support the practical side of your business, by ensuring all your accountancy and financial processes are completed to appropriate standards. Think it’s time you brought on an accountant to help support your small business? RS Accountancy has been working with brands and companies just like yours for over a decade! Contact us today to chat about your needs, or arrange your free, no-obligation business consultation.